Garages can be a big part of everyday life. 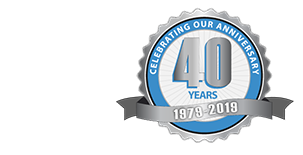 And over the years, garages have become more than just car storage and have transformed into true extensions of the home. 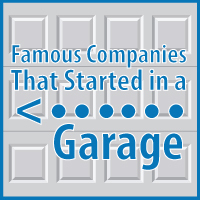 In fact, many famous companies even started in a garage! In 1945, friends Harold Matson and Elliot Handler founded Mattel, a picture frame company, out of a garage in Southern CA. Using picture frame scraps, they began constructing dollhouses as a way to get the most out of their materials. Before long, their dollhouses were selling faster than their picture frames. Encouraged by the growing success of these side projects, Mattel decided to turn their attention to toys instead. Beginning with the Mickey Mouse Club television show and the Barbie line, Mattel soon became a household name. Today, Mattel ranks as the world’s highest-grossing toy company in the world. In 1976, 21-year-old Steve Jobs and 26-year-old Steve Wozniak began a small company selling hand-built computers from their garage in Cupertino, CA. From the humble days of the Apple I, Apple II, and original Macintosh line, Apple is now one of the largest companies with the most innovative and sought-after technology to date. In 1994, Jeff Bezos started an online bookstore completely operated from his garage in Bellevue, Washington. In year 2, the company sold its first book. The company offered its first IPO in year 4. And then in year 9, Amazon joined the prestigious Fortune 500 where it has only grown ever since. In 1923, Roy and Walt Disney set up the very first Disney Studio in their Uncle Roy’s one-car garage. This garage was the birthplace of their first film the “Alice Comedies”, which later became the Alice in Wonderland animation. Overcoming countless rejections from investors, Disney is now the highest-grossing media empire in the world! In 1969, 16-year-old Michael Kittredge began making scented candles using melted crayons as a gift for his mother’s birthday. With growing interest from neighbors and the help of two high school classmates, Kittredge’s garage business expanded rapidly. Eventually, due to enormous growth, the company relocated to Massachusetts. Kittredge sold the business in 1999 and today it is currently one of the largest scented candle manufacturers in the industry.